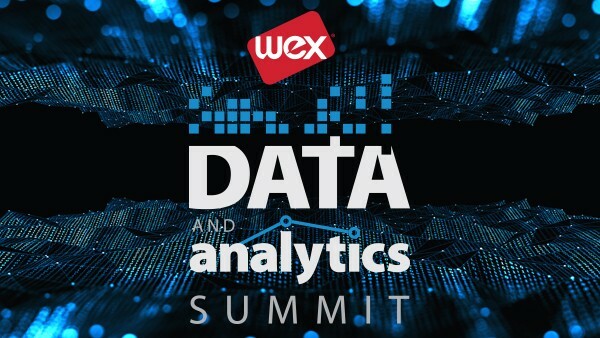 The Inaugural WEX Data and Analytics Summit Unites Data Enthusiasts from Across the Company | WEX Inc.
WEX has collected data for decades. Over the last few years, we’ve begun squeezing that data for more and more actionable insights. One of the reasons I joined WEX four years ago was to help grow the role of analytics throughout the company. When I joined, there were no data scientists on staff, and products like ClearView were just starting to be thought about. A lot has changed in just a few years. Today we have data scientists and data engineers in groups throughout the company, and have delivered analytic applications to internal and external customers. With that growth, we have more WEXers who are looking to do more with the data that we have. But as many of us don’t work together directly, it can be difficult to communicate our work and leverage it across the company. That changed last week, when we hosted the first WEX Data and Analytics Summit near our headquarters in South Portland, Maine. 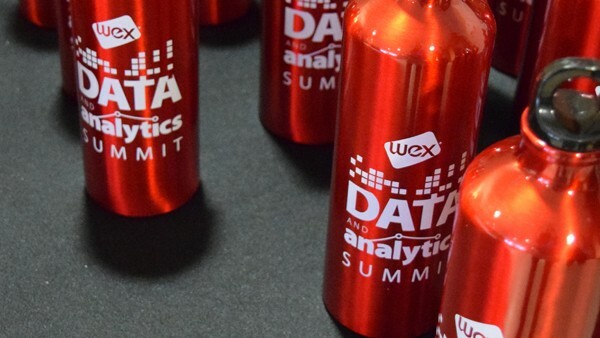 The two-day summit brought together WEX employees who are working with, or have an interest in, data and data analysis. Approximately 110 people came from offices all over the country—and from all of our lines of business and staff functions. It was a great opportunity to learn about how WEX is using data, and to meet and network with others working in this area. Our main objective with the summit was to create an experience where everyone could learn from one another—specifically in a way that would set a precedent for future collaboration across the company. We got off to a great start on day one, when our CEO Melissa Smith shared how data analytics has become a key driver of innovation at WEX. What followed was a full program of show-and-tells in which WEX employees discussed the insights they are extracting from data and how they are putting them to use. The team from Corporate Payments talked about some changes they’re making in their data infrastructure, creating a solid foundation for new analytic capabilities for their customers. HR showed how they use data to inform recruiting, track employee retention, and measure employee satisfaction. The ClearView team showed how machine learning algorithms have been incorporated into Fleet ClearView to identify and correct errors in merchant data. And the legal team discussed the legal and privacy implications around using sensitive data. By the end of the day, everyone in attendance had received a broad introduction to the many ways WEX uses data and analytics. We are counting on this leading to future collaborations, building from the great work already in place. On the second day of the summit, we were joined by Bang Wong, creative director of the Broad Institute, a biomedical and genomic research center shared by MIT and Harvard, and by Mark Schindler, co-founder and managing director of GroupVisual.io. Their workshop on data visualization filled the morning with ideas about how to distill complex data sets into understandable stories. The workshop was a great way to bring us all up to speed on the principles of data visualization and gave us a common vocabulary to discuss this critical topic. In the afternoon, we dug into a hands-on working session, where we built on what we learned by giving everyone in the audience a problem to solve. We presented telematics data that we had collected and asked our small groups to devise ways of visualizing it. We didn’t tell them much about it—only that it was a bunch of vehicles moving around a city. Over a period of three hours, the groups were able use the data to show what the vehicles were doing, which were driving at unsafe speeds, and more. One of the things I hoped would come out of this summit was the formation of interorganizational connections. If someone has a question about data analytics, I want them to know who to contact. 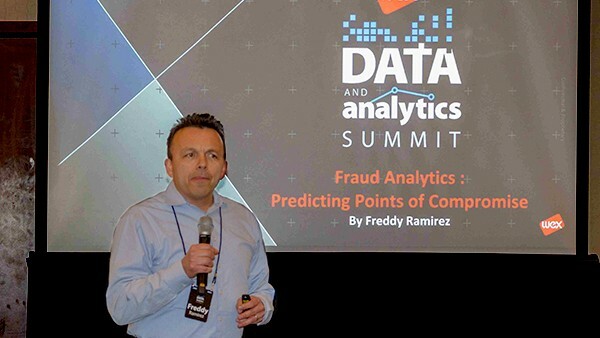 Some of my favorite things about the Data and Analytics Summit were the conversations that occurred between people who don’t work in the same city or in the same line of business. I feel encouraged that these conversations will lead to additional dialogue and that we will all keep sharing. As WEX has evolved into a data and technology company, it has become critical that we align data with payments and technology in a way that helps inform our business and our customers’ businesses every day. Not so long ago, we had a heap of data and a whole bunch of potential to use it. This summit was just one example of how that potential is now manifesting itself at WEX.